The Thrifty Mommy: Savings on Pet Supplies!!! Have a pet in the house? 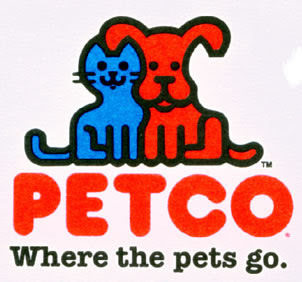 Well, your in luck if you have yet to buy their food for the month yet......Click here to print coupons for $5 off a $25 purchase or $10 off a $50 purchase at Petco. You must show your PALS card with the coupon. Don't have a PALS card...it's free to sign up in-store. Coupons expire 6/14/09. Some restrictions apply...so be sure to read the fine print!! We have just added your latest post "Savings on Pet Supplies!!!" to our Directory of Pets . You can check the inclusion of the post here . We are delighted to invite you to submit all your future posts to the directory for getting a huge base of visitors to your website and gaining a valuable backlink to your site.